The final deal for the evacuation of people and the fighters from Aleppo was achieved not through the Geneva format, but between Russian, Turkish and Iran, foreign policy analyst Jim Jatras told RT’s Ed Schultz. The Syrian Arab Army has retaken full control of the city of Aleppo. 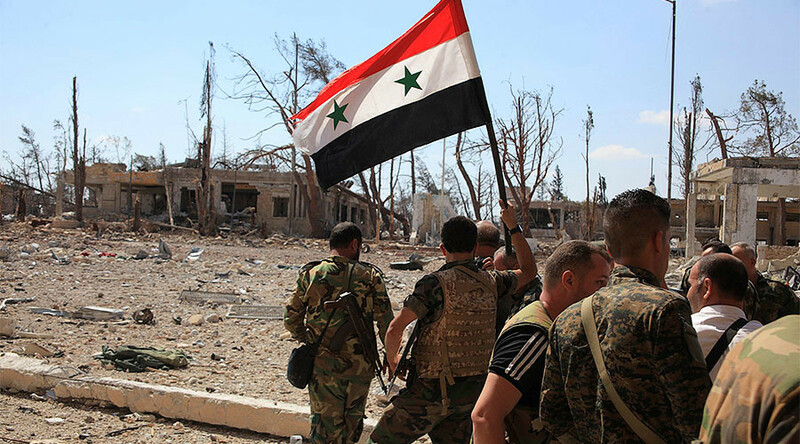 The Syrian government has declared the city is liberated from terrorism and terrorists. Syrian rebels and civilians have been leaving the embattled city for over a week. Some say this means the United States will have to give up on its purported goal of achieving regime change against the government of President Bashar Assad. RT:Aleppo has been declared retaken by Syrian government forces. Does this really represent a turning of the tide? Jim Jatras: Absolutely, it is a great strategic victory for Syria, for the Damascus government. It shows that regime change – the goal of the Obama administration and all of our allies like Saudi Arabia – is simply off the table. That is a huge thing. — RT (@RT_com) 22 декабря 2016 г.
RT: What do you think the aftermath of this is going to mean? JJ: It could. A lot of these fighters or terrorists – however you want to characterize them – have been evacuated to Idlib. They still will be fighting on for a while. But I think the character of the war has changed. Also the character of US policy has changed in the sense that it is clear how irrelevant the Obama administration has become. Let’s remember this final working out of a deal for the humanitarian evacuation of people and also the fighters leaving Aleppo was achieved not through the Geneva format between [Sergey] Lavrov and [John] Kerry, but rather between Lavrov and his Turkish and Iranian counterparts. In a sense, it almost shows that the US is no longer relevant to this crisis. RT: What does all of this mean for the incoming administration? Does this set a different table for Donald Trump? RT: You’ve said that this is going to solidify Assad. How sure are you of that? JJ: I am sure of it because the other side that our mainstream media has not been showing is people going back to their homes; people are celebrating that the city is being liberated. Even some of the media are even beginning to admit that the humanitarian crisis they have been raising the hue and cry over, and naming and shaming and threatening war crimes to the Russians and the Syrians didn’t turn out to be what they said it was going to be.